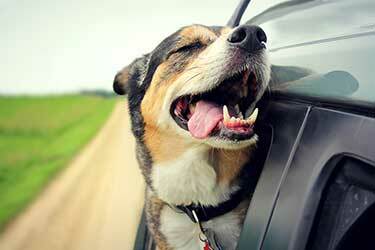 You Could Save $500 Or More On Alberta Car Insurance! Shopping for cheap car insurance in Alberta? ThinkInsure can help you compare auto insurance quotes from the top Alberta insurance companies. Large cities, mountain drives, and scenic views don’t even begin to describe the diverse driving conditions in Alberta. With more than 4 million residents, and with the country’s fastest growing city - Calgary, and unpredictable winter weather, it’s imperative for drivers to have a strong car insurance policy. With some of the highest insurance rates in Canada, and with rates on the rise, it’s important for drivers to get an insurance quote annually to find the cheapest rates. You could save up to $500 or more. Our Alberta car insurance experts provide unbiased advice and will get you personalized coverage for your needs. So you'll get the best Alberta car insurance rates for your insurance needs. Why Get Alberta Auto Insurance Coverage With ThinkInsure? 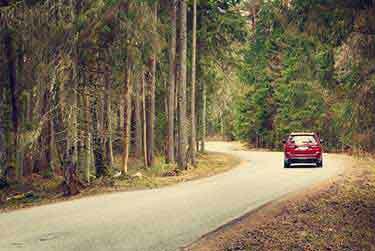 Auto insurance in Alberta doesn’t have to be complicated or expensive. Our experts simplify the auto insurance quote process for you. Provide us with your information. We’ll quickly handle the rest. The result : Cheap insurance rates and savings . We can help you save money : Our goal is to help you save money on car insurance coverage. Who doesn’t love cheap car insurance, right? Quickly compare insurance quotes : We know your time is important. It only takes a few minutes to do a quote. We’ll compare insurance quotes for you to get you the best price. Get the cheapest car insurance rates : Get access to the cheapest car insurance rates for Alberta drivers. Expert auto insurance saving and coverage advice : Our Alberta insurance experts are licensed and trained. We provide you with recommendations for insurance products that match your personal needs. Experience the ThinkInsure advantage : We work for you, not the insurance companies. Our Alberta car insurance experts will help you get the best rates and coverage. How much is car insurance in Alberta? Find out for sure. Get a quote for car insurance from ThinkInsure. We are experts in helping drivers get the lowest rates on their insurance. Compare Alberta car insurance quotes by calling us at 1-855-550-5515 OR click and compare quotes online. Start saving today! How Can I Get Cheap Auto Insurance In Alberta? We understand there are many different types of drivers with different insurance needs. We work with the leading auto insurance companies so we can help you get the best coverage and rates. How Are Auto Insurance Rates In Alberta Determined? 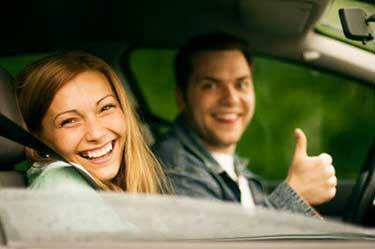 Driving experience : In general, the longer you’ve had your driver’s license, the lower your insurance rates. Type of vehicle you drive : Some vehicles are more expensive to insure than others. Number of drivers on your insurance policy : Adding a secondary driver or occasional driver will increase your auto insurance rates. Age and gender : These are both used by insurance companies when determining insurance costs. Your location : Whether you live in Calgary, Edmonton, Red Deer, Lethbridge or other Alberta cities will impact your rates. Coverage limits : Additional insurance coverage will increase your insurance premium. Vehicle use : What your vehicle is used for and how often you drive will impact the cost to insure a car in Alberta. Is Car Insurance Required in Alberta? Yes. All drivers are required to carry a minimum amount of car insurance coverage to lease, finance, or own a vehicle in Alberta. What If I Am Caught Driving Without Insurance In Alberta? 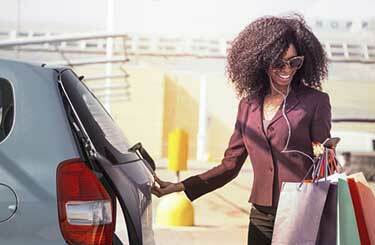 First offense : $2,500 - $10,000 fine, plus 15% surcharge. Second offense : $5,000 - $20,000 fine, plus a 15% surcharge. Other penalties : License suspension and 60 days in jail possible for repeat offenders. In addition to the fines, you will be considered a high risk driver and be subject to significantly higher auto insurance rates. How Does Car Insurance Work In Alberta? Insuring a car in Alberta is different than in other provinces in Canada. Under the Alberta Insurance Act, Alberta car insurance laws require you to purchase a mandatory amount of coverage. Additional insurance coverage can be purchased from a licensed insurance provider. You will not be able to register your vehicle or drive without this coverage. Your insurance rates for the minimum coverage are determined using the grid rating program. Disability income benefits : 80% of gross weekly wages to up maximum of $400/week for up to 104 weeks. Comprehensive coverage : Protection against all insured damage caused to your vehicle. Collision or Upset : Protection from damage caused by a collision by another car or object. Specified perils : Protect your vehicle from specific risks such as flood, fire, hail, or theft. All perils : Combines comprehensive and collision and increased theft protection. Additional liability and accident benefits : You can increase your policy limits above the minimum level of coverage. How Much Are Car Insurance Deductibles in Alberta? All Alberta auto insurance policies have deductibles for comprehensive and collision coverage. You deductible amount will vary based on a number of factors – risks, insurer, your preferences. Most car insurance deductibles in Alberta range from $250 - $1000 or higher. The higher you set your deductible amount, the more you can reduce your insurance premium. Choose an amount you are comfortable paying if you were to have to file a claim. Who Can Drive My Car Under My Insurance In Alberta? As long as you grant permission, any licensed driver can operate your vehicle. They will be covered under your policy. Your insurance policy is attached to your vehicle. What Is The Grid Rating Program For Auto Insurance In Alberta? The grid rating system was introduced by the Government of Alberta in 2004. It was created to regulate car insurance rates in the province. The system sets a maximum rate that is charged for basic coverage - mandatory third party liability and accident benefits coverage. How Does The Grid Rating System Work? Alberta insurance companies are required to compare a driver’s car insurance premium (as determined by their fee system) to the driver’s premium as calculated by the grid rating system. Insurers must charge the lesser premium of the two calculations. Where a driver lands on the grid depends on many common factors – experience, driving record, driving school certification, age. As your driving record improves, your insurance rates will go down (you will move down the grid). Learn more about the grid rate system on the Automobile Insurance Rate Board (AIRB) website. Even with the premium grid, you should still get insurance quotes in Alberta to get the best car insurance rates for additional coverage. Who Regulates Auto Insurance Rates In Alberta? Car insurance rates in Alberta are regulated by the provincial government. However, rates are overseen by the Automobile Insurance Rate Board and the Office of the Superintendent of Insurance. What Factors Determine Auto Insurance Premiums In Alberta? How Do Alberta Auto Insurance Rates Compare To Other Provinces? Auto insurance premiums are higher than in most provinces in Canada. Based on the 2017 Ontario Ministry of Finance report : Fair Benefits Fairly Delivered : A Review of the Auto Insurance System in Ontario , only Ontario and British Columbia have higher insurance premiums, on average. Is Car Insurance Cheaper In Alberta Than Ontario? Yes. The average cost of car insurance is cheaper in Alberta than Ontario. However, insurance rates are determined on a case by case basis. A driver in Alberta could have higher rates than an Ontario driver. How Much Does It Cost To Insure A Car In Alberta? The cost to insure a car in Alberta varies based on many factors. It depends on your grid level, whether you get additional insurance, and how much extra coverage you add to your insurance policy. What Is The Average Cost Of Car Insurance In Alberta? The average cost of auto insurance in Alberta is approximately $1251 per year. However, rates in the province for mandatory insurance coverage are on the rise. How Much Is Car Insurance In Alberta Per Month? Based on the annual cost of car insurance in Alberta, the cost for car insurance is about $98 per month. Alberta Auto Insurance Rate Changes - Are Rates On The Rise? Auto insurance rates in Alberta are on the rise. According to AIRB, rates have increase each year since 2012 and have only decreased twice in the last decade. How Much Is Car Insurance In Alberta For New Drivers? Insurance for new drivers in Alberta is more expensive than the average car insurance rates. Less experienced drivers are often capped by the grid rate calculator. As new drivers gain experience and maintain a clean driving record, their premiums will decrease over time. What's The Minimum Requirement For Auto Insurance In Alberta? By law, you are required to have a minimum of $200,000 in third party liability coverage for your vehicle. What Does PLPD Cover In Alberta? PLPD, Public Liability and Property Damage, provides coverage for injuries and damage to another person or their property. Drivers in Alberta often purchase additional PLPD coverage that is above and beyond the mandatory minimum requirement. Does Alberta Have No-Fault Insurance? Yes. The province of Alberta uses a no-fault auto insurance system. No-fault insurance does not mean no one is at fault for an accident. It means your insurance company will cover the cost of your damage no matter who is found to be at fault for the accident. I Am Switching Auto Insurance From Ontario To Alberta. What Do I Need To Know? If you are moving from Ontario to Alberta, you are required to switch to an Alberta insurance provider. To do this, you will need to obtain an Alberta driver’s license and registration within 90 days of moving to the province. Bring a copy of your driving record from the Ontario Ministry of Transportation to help lower your insurance rates. What Is The All Comers Rule? The all comers rule ensures all drivers in Alberta qualify for mandatory automobile insurance coverage. Under the Alberta insurance laws, insurance companies cannot refuse third party liability and accident benefits coverage to new drivers or current policyholders. However, there are some exceptions to the rule where coverage can be denied. What Documentation Do You Need To Purchase Auto Insurance In Alberta? 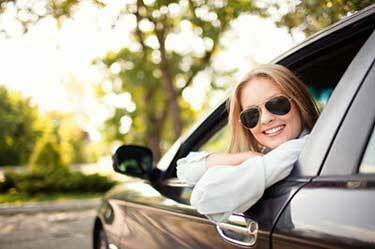 To purchase car insurance in Alberta, you will need to provide your insurer with the bill of sale or lease agreement for the vehicle, the driver’s license and date of birth of all drivers you want to include on the policy and a driver training certificate for new drivers. Additional information may be required. The grid rating system is not the only car insurance calculator Alberta drivers can use to compare rates. An Alberta car insurance calculator can help you compare optional insurance coverage options, get a better understanding of insurance costs, and see what the market has to offer. Our experts can help you calculate rates and compare your insurance options. Our team of insurance experts can get car insurance quotes from the best insurers in Alberta. Our brokers will help you compare rates from Alberta's leading auto insurance companies, including Aviva, Economical, Intact, Wawanesa, RSA, Travelers, and more! Check out our extensive list of insurance company partners. Use a ThinkInsure expert to compare options : We can help you compare rates from multiple insurers. 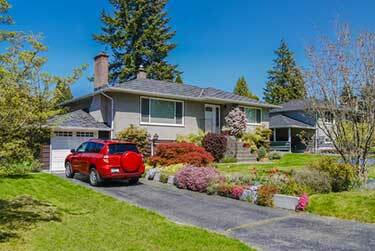 Bundle coverage : Bundle all vehicles and home insurance coverage with one insurer. Take advantage of insurance discounts : Speak with your insurer about discounts to lower your insurance premium. Increase your deductible : Increasing your deductible will lower your insurance premiums. Get an annual quote : The AIRB approves insurance rate changes frequently. Compare quotes each time your policy is up for renewal. Our Alberta insurance experts are dedicated to helping drivers save money on optional car insurance coverage. We proudly serve all of Alberta and offer a full selection of additional home and business insurance products to complement our auto insurance products. Cheap rates : We’ll help you get the cheapest insurance in Alberta. One stop shopping : We are your one stop shop for all your insurance needs. Selection : We offer vehicle insurance for all types of cars and trucks. Expert advice : We provide unbiased advice that will help you save money. Personal service : We provide the personalized customer service you expect and deserve as a valued customer! Alberta uses a graduated licensing system. You must successfully complete all stages to become a fully licensed driver. In total, there are 7 difference drivers’ license classes drivers can obtain. Class 7 learned and class 5 standard driver’s license at the most common. What Is The Legal Driving Age In Alberta? You can start the drivers licensing process at the age of 14 in Alberta. At this point you can get a stage one learners license. You must be at least 14 years of age and pass a vision and knowledge test. You must be accompanied by a fully licensed driver at all times. You must be at least 16 and have your stage one learner’s license for a minimum of one year. You must pass the basic Alberta class 5 road test. You must have a probationary license for two years and pass an advanced road test. How Can New Drivers Save Money On Insurance In Alberta? Get added as a secondary driver on an existing car insurance policy. Take drivers education to qualify for a discount for new drivers. There are many different types of drivers in Alberta who need different types of auto insurance. With our large selection of insurance companies we can get drivers the coverage they need at the lowest rates. We are a licensed Alberta and Ontario for car insurance. So if you are an Alberta or Ontario driver we can get you coverage. Since we work with so many insurance companies you'll be able to compare mutliple quotes for your region and get the lowest rate. Need A Car Insurance Quote In Alberta? Contact Us! If you want the cheapest car insurance rates, you are in the right place. Get an online quote today and work with our Alberta experts to compare your car insurance options.